The odd French microcar for sale is said to be one of fewer than 30 that still exist. It wasn't uncommon for both pre- and post-World War II aircraft manufacturers to build cars. Companies such as Spyker can trace their roots to the aviation industry, but few of these vehicles have stayed popular, and even fewer remain. One of those cars is going up for auction next month. 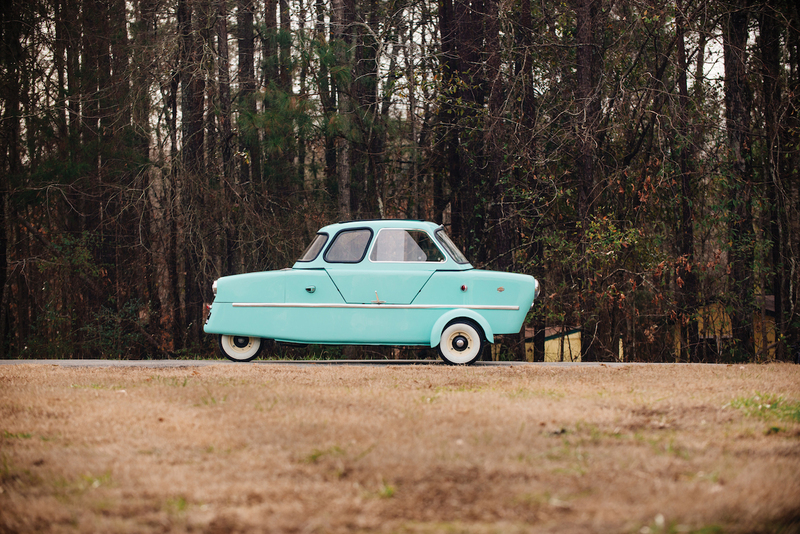 This 1957 Inter 175 Berline for sale from RM Sotheby's is as rare as it is weird-looking. 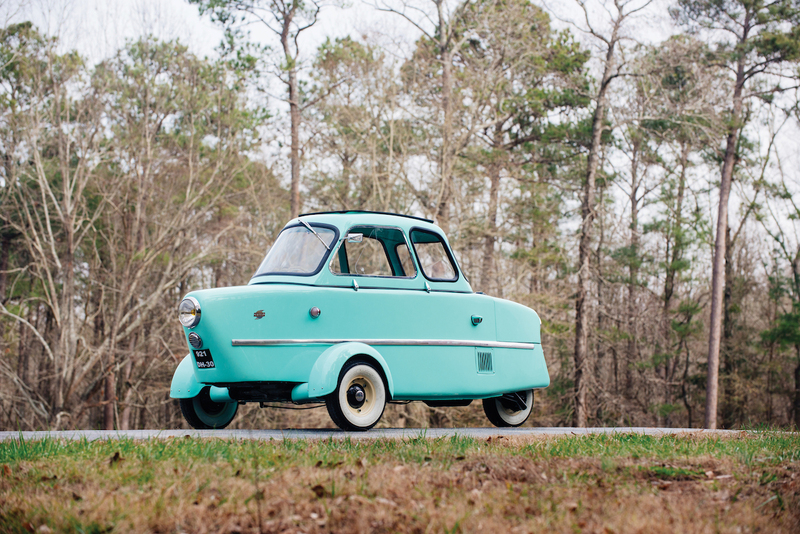 French aircraft builder S.N.C.A.N., also called Nord Aviation, built approximately 300 of the three-wheeled microcars during the Berline's two-year production run. RM Sotheby's estimates that roughly 30 of these "autoscooters" remain on the road today. The 175A Berline's history is shrouded in speculation and mystery, but it supposedly was meant to compete with the Messerschmitt KR175, another microcar built by the infamous WWII German manufacturer while it was banned from making planes after the war. As it's built by an aircraft company, the Inter Berline features a handful of quirks one would usually find in an airplane or helicopter. 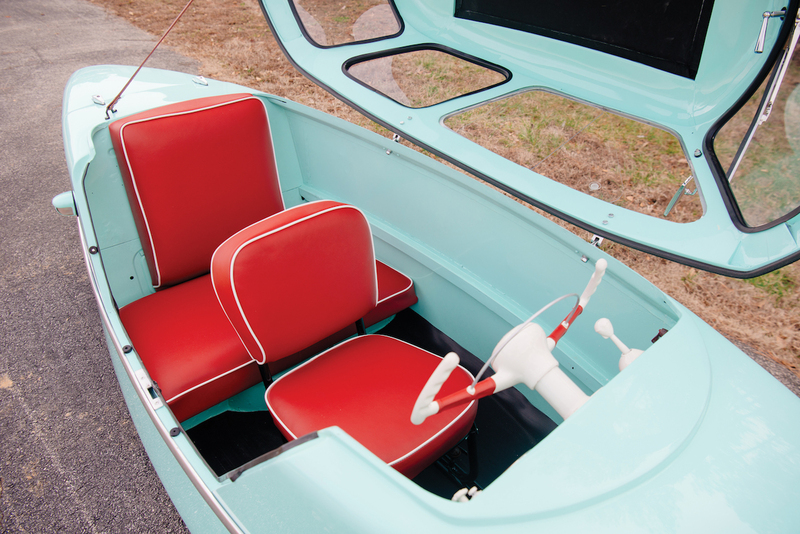 To get inside the car, open the side-folding roof and you'll find seating for two. 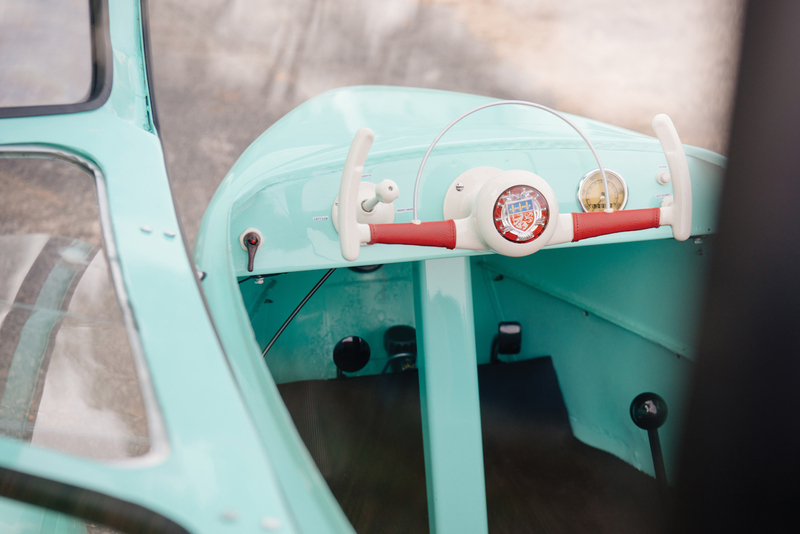 To turn the car on, you have to press a lever next to the airplane-inspired steering wheel called a gyrostarter, a starter component found in helicopters that makes that signature whining noise when the chopper's propeller begins spinning up. Legend has it that the 175A Berline makes a similar sound on startup. 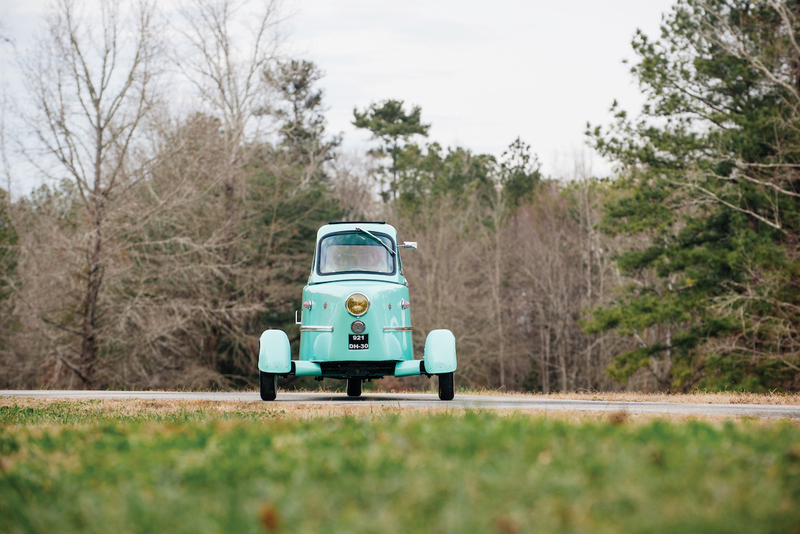 The microcar gets its power from a rear-mounted, 175cc two-stroke engine that sends a whopping 8-horsepower to the rear wheel through a three-speed manual transmission. Speaking of wheels, the Berline's front two fold up for easier storage. 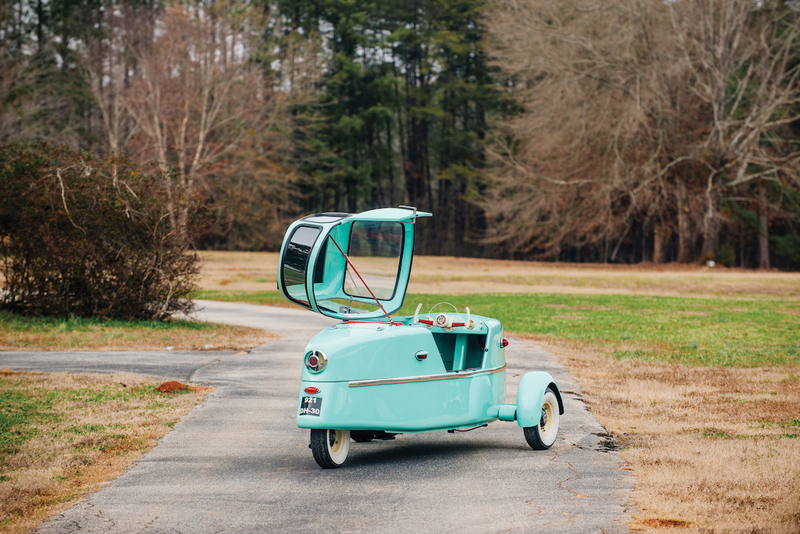 This odd turquoise green microcar will go up for sale at the RM Sotheby's Amelia Island auction in Florida March 10. It looks like a Skyline GT-R, SLS AMG, and MR-2 got put in a blender...and the result is adorable.